I have a new drop down pendant light over my kitchen sink. This is what it used to look like. Just a plain can light in the ceiling. The best part was, there was no rewiring involved. I put this up in about five minutes. You unscrew the lightbulb and an adaptor screws right in and voila, instant hanging light. 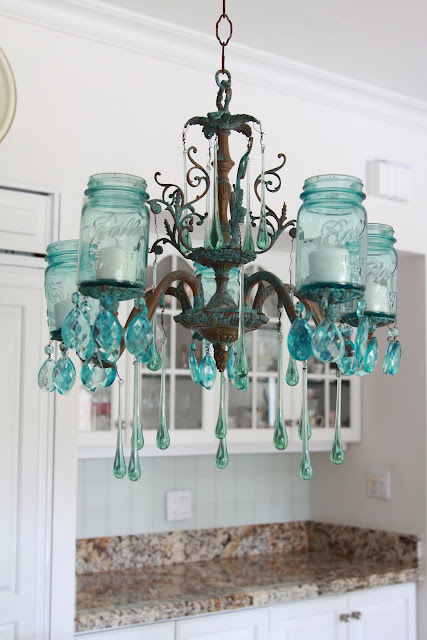 They had several light shades to choose from, but I wanted to use my antique blue ball jar. I didn’t want to drill a hole through the zinc lid, so I used a regular lid. I drilled a hole right through the top and screwed the bulb and adaptor on. Now when I need to change the lightbulb, all I have to do is unscrew the jar from the lid. I need to scrub out the jar again. Do you know how hard it is to get 80 year old grime out of a jar? I don’t even want to know what it is either. Here were a few more I found that I loved, but some of these require electrical skills I don’t currently possess, so I’ll just go with the $20 light kit from Lowes. 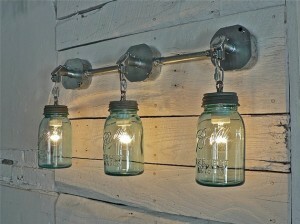 This would be super cute in a rustic bathroom. 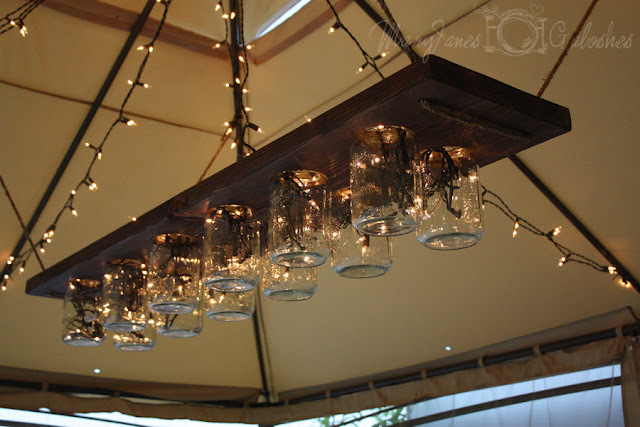 This would be really cute on my new patio! Not sure the husband would love this one, but I sure do. And I saved the best for last. I will be doing this immediately!